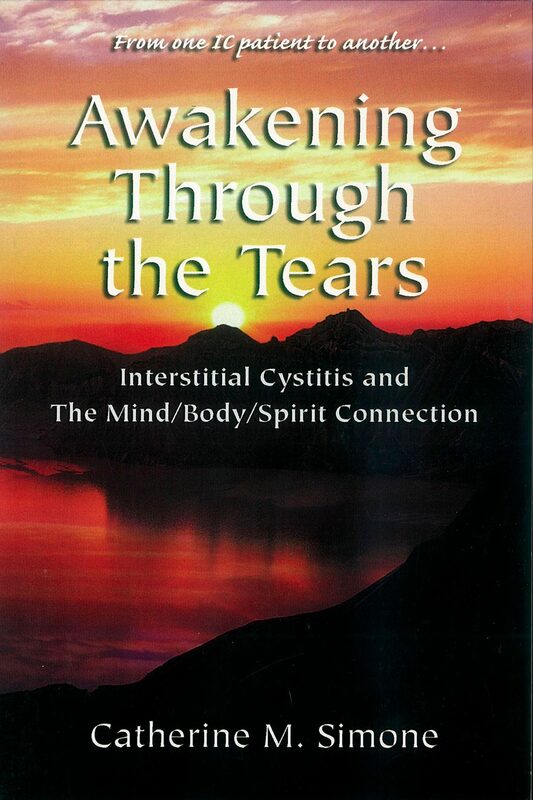 The first book about IC and the mind/body/spirit connection, Awakening through the Tears is another groundbreaking book for Interstitial Cystitis (IC) patients worldwide. It is not only about the mind/body/spirit connection and how to use that connection to help heal from IC, it is also a discussion of physical connections with IC that have not been previously addressed elsewhere. Simone explains the connections between various possible causes of IC that the medical community still ignores. Like To Wake In Tears and Along the Healing Path, Awakening Through The Tears is a discussion of IC from a holistic perspective. She again is offering hope, practical advice, and helpful information to help heal from IC. If you experience anxiety and/or feel there is a hormone connection with your IC, this book is especially for you. Actually, this book is for anyone who has IC and has ever wondered why they have it, for anyone who has ever asked, "Why me?". Otros ebooks de Catherine M. Simone.